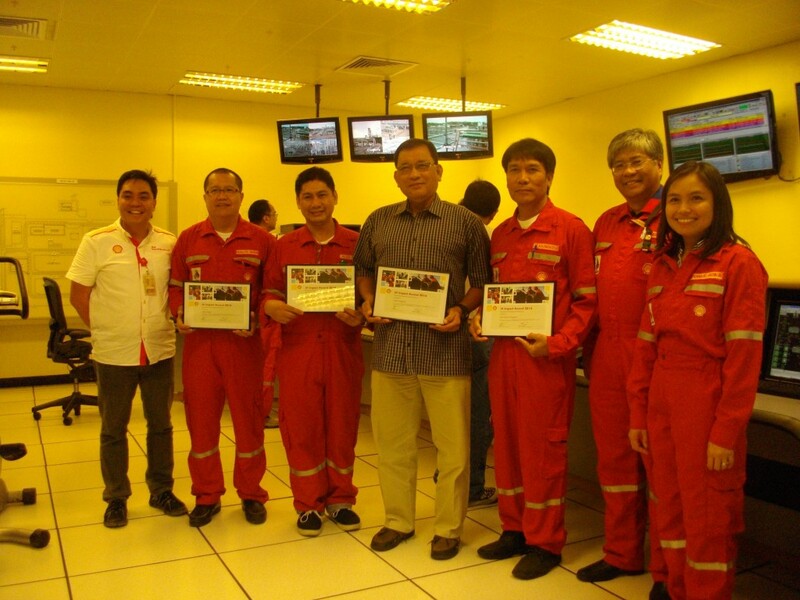 Proving Shell Philippines Exploration B.V.’s reputation as a world-class operator, the Shell Upstream International (UI) Impact Award was conferred to the Malampaya Onshore Gas Plant (OGP) team. The recognition heralds the project’s continued excellence in environment and social performance. The individuals who received the award on behalf of the OGP team are Pablito Pantas, Jose Damaso Naungayan, Carlito Magbuhat, and Alexis Vito. Achieving 13 years of Goal Zero on September 28, 2014, OGP has been the recipient of numerous external awards. Described as “going beyond compliance,” the plant consistently meets all applicable laws, rules, and regulations. The Malampaya Gas Project supplies 35 to 40 percent of Luzon’s power needs. Regulators constantly monitor the plant’s performance to ensure reliable and world-class operations. Led by a group of competent individuals, the plant focuses on “Right the First Time and No Mistakes” policy. The culture is practiced by every employee every day. Several measures including morning calls, coordination meetings, and Health, Safety, Security, and the Environment (HSSE) safety reviews are observed. The comprehensive process ensures a seamless alignment from management to front line contractors. To supplement the great work done in the workplace, OGP has established a positive relationship with fenceline communities through targeted communications and social performance programs. The keys to this team’s success are collaboration, authenticity, growth, and outstanding performance. This has resulted to a highly motivated team evidenced by high feedback scores in the Shell People Survey. Capable site leaders and a robust succession plan help achieve the plant’s aim—to provide continued exceptional service that exceeds customers’ expectations. The UI impact award is a global recognition program that helps drive the right behaviors across UI in the areas of Safety Leadership, Environment and Social Performance, Portfolio Value, Project Delivery, Product Optimization, and People Effectiveness.